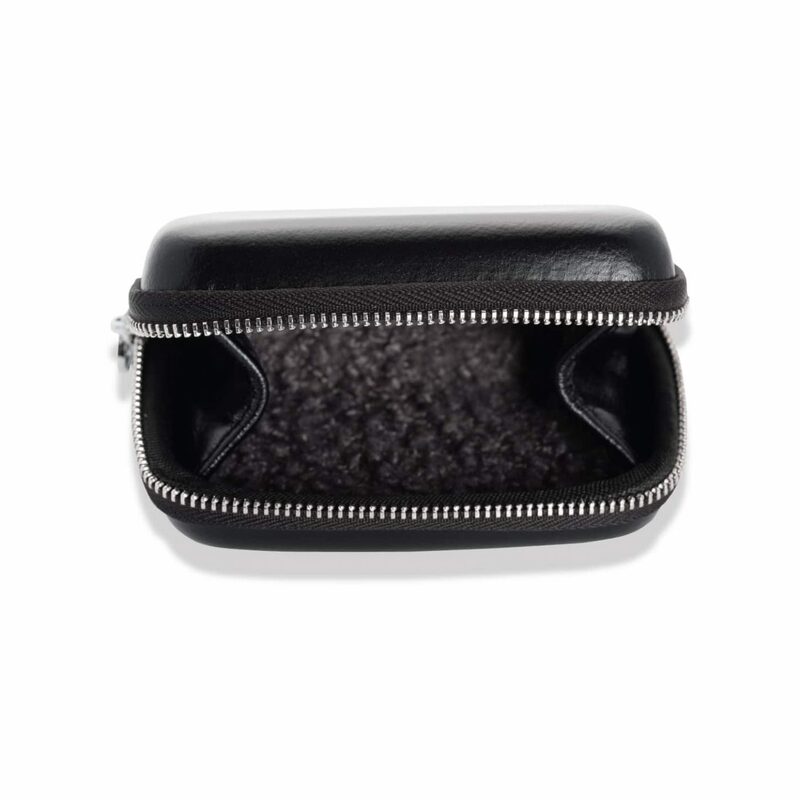 Black leather case with faux lambswool interior. Campfire Audio lacquer zipper pull. 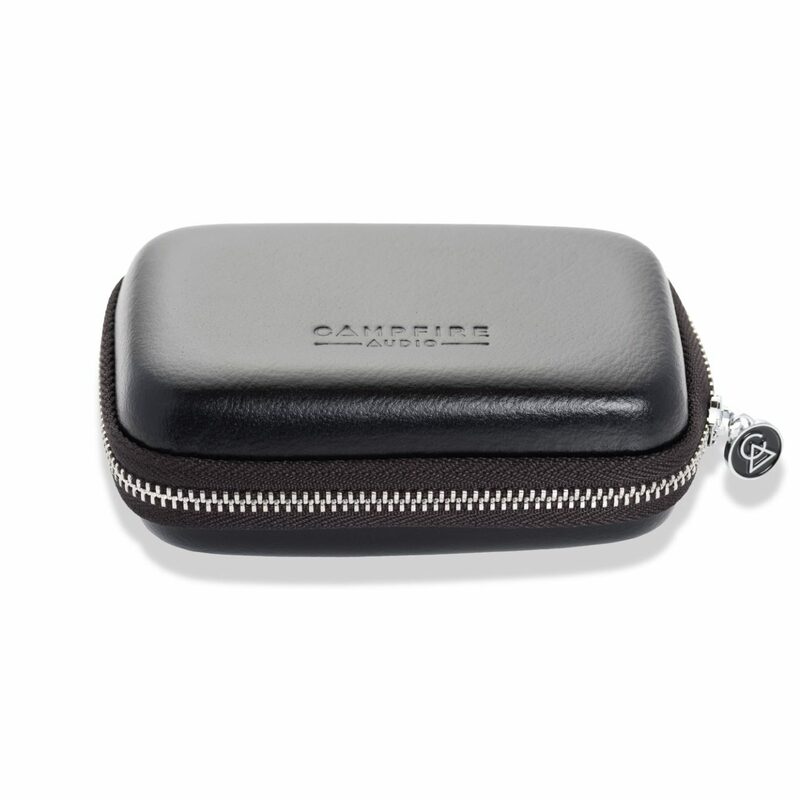 Premium black leather case with faux shearling interior. 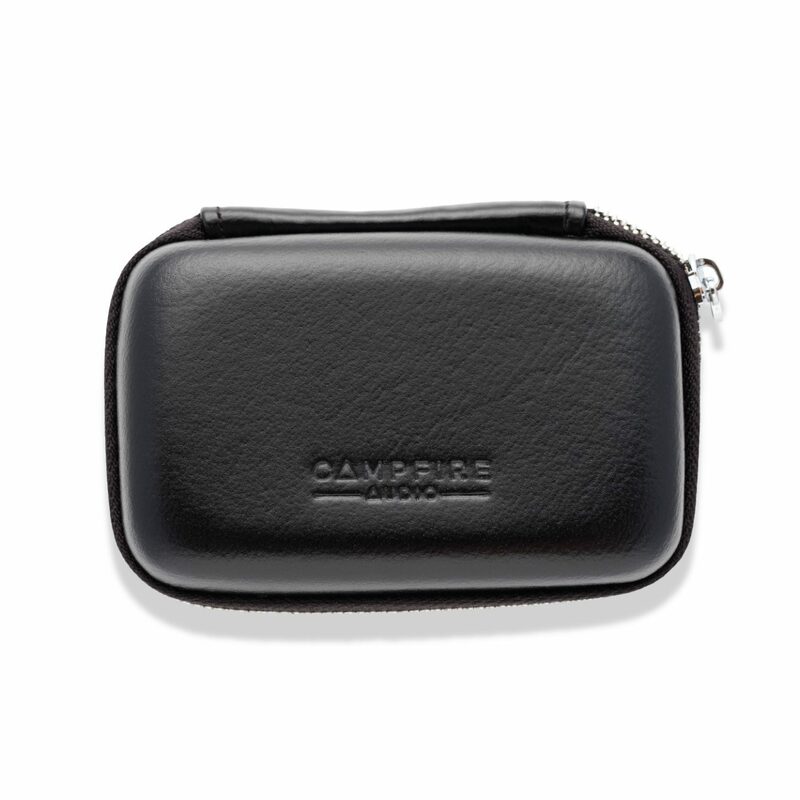 Campfire Audio “CA” Logo lacquer zipper pull. Standard case for Atlas, Andromeda S and Equinox Beta.